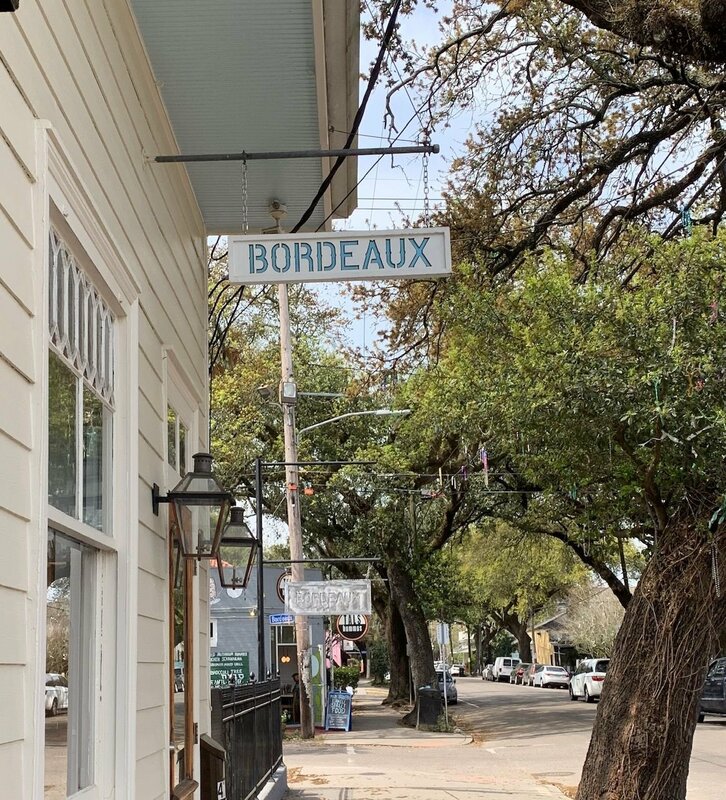 Bordeaux, a new restaurant from chef Dominique Macquet, is now open at 4734 Magazine Street. 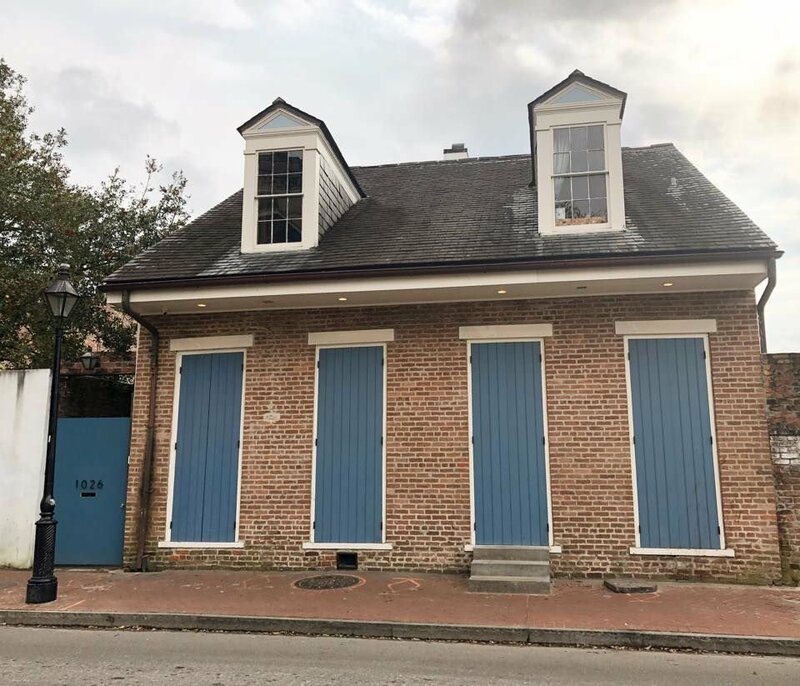 Jewel of the South occupies a historic Creole Cottage in the French Quarter at 1026 St. Louis St. Chef Dominique Macquet blends French and Creole influences at his new restaurant in Uptown, Bordeaux (4734 Magazine St., 504-273-5747; www.bordeauxnola.com). Located at the corner of Magazine and Bordeaux streets, the restaurant has an outdoor dining space anchored by a covered oyster bar and custom-built rotisserie. Macquet teamed up with restaurateur and sommelier Bruno Rizzo, who together with his brother Dominique operated the Uptown French bakery La Boulangerie, which is now owned by the Link Restaurant Group. Rizzo will run Bordeaux’s wine program, and bar manager Lynn Burgett is overseeing the bar’s cocktails. The menu features rotisserie-cooked pheasant served with gnocchi, sauteed squash and jus “naturale,” and entrees run the gamut from a grilled venison flank steak served with potato gratin to flash-seared bluefin tuna atop pappardelle pasta with caramelized cauliflower, kaffir lime and oven-dried tomato aioli. Starters include sauteed sweetbreads with a thyme potato puree, arugula and chimichurri; beef tartare with ginger, soy and grapeseed oil; and a prosciutto flatbread topped with melted cheese and truffle oil. Desserts are as French as they come: crepe Suzette, creme brulee and chocolate mousse. The restaurant marks a return to the dining scene for Macquet, whose last venture was running the Magazine Street bistro Saveur, which closed in 2016. He helmed Dominique’s at the Maison Dupuy Hotel in the French Quarter before opening Dominique’s on Magazine in the building that now houses Apolline, and he later opened a restaurant in the space now occupied by Shaya. Jewel of the South, (1026 St. Louis St.; www.crustapunks.org) the highly anticipated restaurant from bartenders Chris Hannah and Nick Detrich, is now open in a French Quarter Creole cottage that dates back to the 1830s. Hannah left Arnaud's French 75 bar last September after a 14-year run. He and Detrich, another bar industry veteran, run the French Quarter Cuban cocktail nook Manolito (508 Dumaine St., 504-603-2740; www.manolitonola.com). The new space has a tavernlike setting anchored by a copper-top bar that was built in the 1880s, and the dining room has banquettes and seating for 35. A private courtyard seats another 30 to 35 guests, and the owners plan to open a second floor dining room. Named for bartender Joseph Santini's early 19th-century restaurant of the same name, Jewel of the South pays homage to one of Santini’s cocktails, the brandy crusta, a cognac drink featuring lemon juice, maraschino liqueur, curacao and a sugared rim. The cocktail menu features classics such as a French 75, a Roffignac, a sherry cobbler and other original creations like the Dr. John-inspired, bourbon-heavy Night Tripper and the Second Line Season, made with apple brandy, lemon, Amaro Montenegro, maraschino liqueur and Abbott’s bitters. Helming the restaurant’s food operation is London-born chef Philip Whitmarsh, who until recently worked as sous chef at Nina Compton's Warehouse District restaurant Compere Lapin. The contemporary menu has 10 rotating dishes, such as gougeres with Parmesan custard, beef tongue pastrami with hazelnut pesto, fried chicken bao with collard kimchi and kombu-cured salmon served on an English crumpet with celeriac slaw and remoulade. Gumbo is served with buttered rice and potato salad. Detrich says several dishes will change on a nightly basis. Barracuda (3984 Tchoupitoulas St.; www.eatbarracuda.com), the taco stand and patio bar from Brett Jones, opens March 21. The menu includes creative tacos, quesadillas, chips and dips and breakfast items available all day. Fried catfish tacos are topped with cabbage, onion, cilantro, crema and pomegranate. Seasonal vegetable tacos include fillings such as roasted squash, canary beans, green onions and mint. Margaritas are available by the pitcher, and nonalcoholic beverages include agua frescas, horchata, limeade and tepache. Jones is a chef who managed Dinner Lab and was a culinary operations manager for The Ruby Slipper Restaurant Group.